Jeffrey, who aspires to become a physician so he can help others in the same way that medicine and doctors have helped him, is currently a sophomore at the University of Miami studying Microbiology and Chemistry. 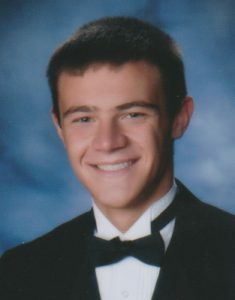 He was a standout student in high school and a finalist for the prestigious National Merit Scholarship because of his very high grades and high test scores, and has a perfect 4.0 grade point average in college. He was named to the Presidents Honor Roll for both semesters of his freshman year in college and plans to maintain this throughout his education. He hopes to attend one of the country’s premier medical schools after graduation from college. In preparation for a medical career, Jeffrey won an internship in the Pathology Department in a local hospital. In college, he has had an opportunity to shadow a urologist where he observed in the operating room as well as the clinic, leading him to strongly consider a career as a surgeon (since he enjoys working with his hands and thinking quickly on his feet to solve problems). Jeffrey is currently involved in the college’s emergency response team where he conducts training sessions and volunteers at various related community events. In high school he was involved in the town’s volunteer ambulance corps and responded to 911 calls as a junior member and became a New York Certified Emergency Medical Technician, passing at the top of his class. These experiences enhanced his desire to become a physician. In addition to his academic prowess, Jeffrey loves sports of all kinds and plays flag football, beach volleyball, soccer, and softball at school. He also is in the golf, scuba, and wakeboarding clubs, taking full advantage of Miami’s weather. He is also passionate about fitness and weightlifting and finds this makes him even more disciplined when it comes to his PKU diet management. Jeffrey has worked as a lifeguard for 5 summers, most recently as lifeguard supervisor in charge of all other lifeguards on deck. Last summer he also worked as a dental assistant, furthering his interest in a medical career. Says a teacher: “Jeff is easily one of the most mature, focused and dedicated young men I have ever had the privilege of teaching. Jeff’s earnest and hard-working approach is truly beyond his peers. He is very unique due to his rare combination of intelligence, talent, and dedication.” All of his teachers rave about his maturity, keen intelligence and passion for learning, as well as his empathy, compassion and kind heartedness and uniformly agree that Jeffrey will be an outstanding doctor.